Top pay, lots of freight when you need it, flexible home time when you want it. Join us and see how Tradewinds is the career opportunity you've been waiting for! Enjoy scheduling your own home time and running the areas YOU desire. Primary Operating Area: Up to you. By the way, our contractors average over 2,800 miles per week! Our lease purchase program allows individuals to get into our well maintained equipment with a reasonable contract and expectations. Our fleet of available equipment is constantly changing, so it is best to contact us via one of the communication methods outlined below to get information on what units we have currently available. Thank you for this opportunity. Working here at Tradewinds is an honor. 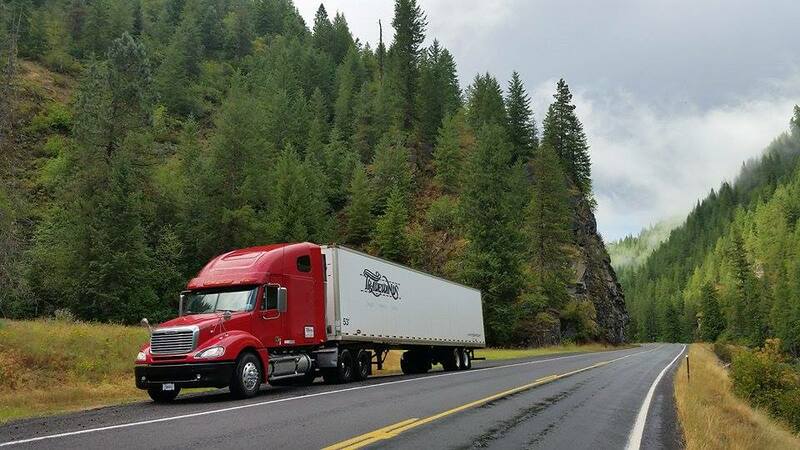 Good work habits and a dispatch team that understands a professional driver's lifestyle makes for success. Best equipment and settlements. By far Tradewinds is a diamond in the rough. For me, the best part of driving with Tradewinds is the ability to run like I am under my own authority, without the pressure of actually being under my own authority. At Tradewinds I feel like part of a family from owners and office personnel, to drivers and shop personnel. I also think teamwork is very important because it takes a team working together in this industry to be successful. Tradewinds is first rate I'd recommend to any driver. This company guys is for us, the drivers. Forget all the negative talk if you hear any and bring your knowledge and your experience to Tradewinds. Truth is guys, if you know how to run (not drive but run), and with this operations team having your back, I guarantee you will reap the benefits of your efforts. Run hard. Run long. Makes for good paychecks. I like working at Tradewinds because of the wonderful staff and pleasant atmosphere. Also at Tradewinds drivers are human beings not just a truck numbers, so if you looking for a group of energetic people to work with and a pleasant atmosphere Tradewinds is a great place to work. I have been loving my employment with this company. Tradewinds is a good company. With great people. Tradewinds treats me like family. Everyone works as a team to get the job done. Between the awesome atmosphere and good equipment, Tradewinds has no limit. I'm proud to call Tradewinds home. I gotta say my experience at Tradewinds is awsome. Everyone that works for Tradewinds treats me like family. No matter what I am always put first. To me this is home and home is where you make it. I like working at Tradewinds for several reasons. One they are a faith based company. Second no one lies or misrepresent at anytime. Thirdly I've made more money here than I've made in a long time.